K Bell Licensed Socks. Machine Wash. The fun novelty design of these socks helps you keep up with the latest trends of fashion. Socks Size 10-13, Shoe Size: 6-12. (Selling 1 Pair per Order). 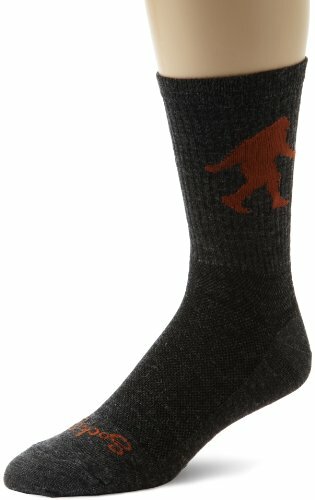 You should wear Bigfoot Socks to go Bigfoot hunting. But, they're just as appropriate for a trip to the mall or dropping the kids off at school! These socks are a soft combed cotton blend and fit men's shoe size 7-12. Illustrated header.